Pokeshot///SMZ is pleased to announce the new releases of our Jive add-ons Pokeshot///SmarterPath and Translation Manager. After putting a considerable amount of time and energy into the development of additional features, we are excited to tell you what’s in store for you. As some of you remember, we launched the social LMS add-on Pokeshot///SmarterPath last year and won the “Jive Extend” Award on the strength of this innovative application. The rationale for creating this app was that traditional LMSs, which are completely disconnected from where work is getting done, are not the application of choice for either employees or for trainers. Our Pokeshot///SmarterPath solution embeds social learning directly in the Jive user experience. Instructors can leverage content directly from Jive to build their courses. And participants can progress through learning paths while working in Jive, using familiar Jive features to collaborate with peers. Now we have released a more advanced version of Pokeshot///SmarterPath with several new features that will boost the impact of social learning in your Jive environment. 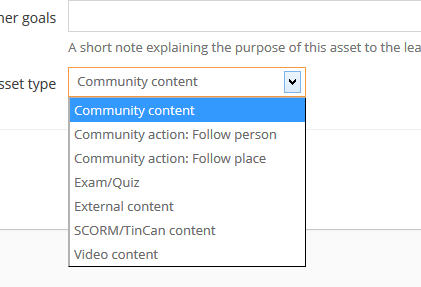 We’ve added helpful new functionalities like “Community action: Follow person”, which enables learners to easily connect with subject matter experts, and “Community action: Follow place”, which allows learners to be asked to join a social group within Jive as part of a training. 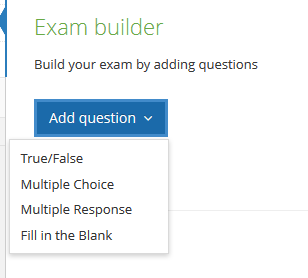 Also new is the exam builder feature that lets trainers easily build exams and quizzes using true/false, multiple choice, multiple response and fill-in-the-blank questions. This powerful tool also generates reports like the answer breakdown report, which will also be available for SCORM-based eLearning trainings. What’s more, Jive 7 is fully supported, which means Pokeshot///SmarterPath is now available as a Jive 7 add-on. The add-on includes the Pokeshot///SmarterPath app as well as a purposeful place template for creating training-specific groups. We also simplified training set-up by adding learning elements that don’t have to be linked to a training path and that don’t require you to create an asset first. From now on, leaners can also comment on lessons, start a discussion or just give feedback on the lesson level. Last but not least, you can now generate an activity report to track what’s happening in all your training paths.